In south region of Mahakam River or also called ‘Samarinda Seberang’, about 8 Km from the downtown, in Bung Tomo Street, there is center of Samarinda Sarong crafting. 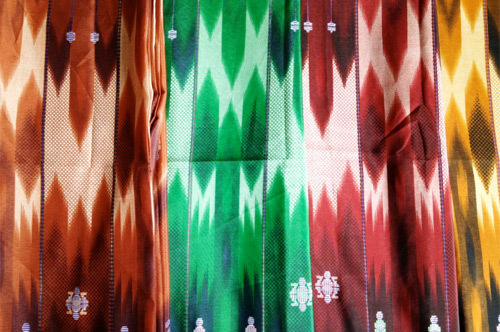 This sarong crafting had brought by people who come from Sulawesi and Bugis tribes. Almost in every countrified Bugis tribe in this detectable place is sarong worker Samarinda. Weaver being applied the workers is traditional equipment called ‘Gedokan’. The product that being yielded for one sarong has finished till three weeks time.